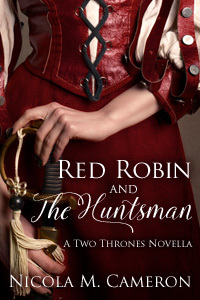 Posted on December 20, 2017, in Belaurient Publishing, Red Robin and the Huntsman, Release Day and tagged historical romance, Holiday Romance, mf romance, Nicola M. Cameron, Red Robin and the Huntsman, second chances, two thrones. Bookmark the permalink. Comments Off on Red Robin and the Huntsman is LIVE!.